Northeast Frontier Railway Recruitment 2018 Post- [21 posts] Sportsperson | GuwahatiCareer.Com :: Recruitments, Career Openings & Vacancies. Educational Qualification: (A) For appointment in Grade Pay Rs. 1900/2000 (Level- 2 OR Level- 3 of Pay Matrix as per 7th Pay Commission): 12th (+ 2 stage) or its equivalent examination. (B) For appointment in GP- 1800/- (Level- 1 of Pay Matrix as per 7th Pay Commission): (i) 10th pass plus National Apprenticeship Certificate (NAC) granted by NCVT OR 10th pass plus ITI from institutions recognized by NCVT/SCVT for posting in Electrical, Engineering, Mechanical and S&T departments. (ii) 10th pass OR ITI from institutions recognized by NCVT/SCVT OR equivalent OR National Apprenticeship Certificate (NAC)granted by NCVT for posting in departments other than those mentioned above. Age Limt: (a) Minimum 18 years and maximum 25 years as on 01.01.2019 (between 02.01.1994 to 01.01.2001). No relaxation in lower or upper age limit will be permissible. (b) Proof of Age viz., Matriculation certificate issued by a recognised board or equivalent must be produced. (i) For all candidates except those mentioned in sub-para (ii) below: Rs. 500/- (Rupees Five Hundred) only with a provision for refunding Rs. 400/- to candidates actually appearing in the written examination/ trial). The IPO should be drawn in favour of PFA&CAO/NF Railway, and payable at Maligaon Post Office, Guwahati – 781011. Candidates must write their names & full address in the IPO. (ii) For candidates belonging to SC/ST/Ex. Servicemen/Persons with Disabilities (PWDs), Women, Minorities and Economic Backward Classes: Rs. 250/- (Rupees Two Hundred Fifty) only with a provision for refunding the same to those who actually appear in the written examination/trial. How to apply: Candidates fulfilling the eligibility criteria should apply as per application format given at Annexure-A by the candidate in his/her own handwriting on a good quality A-4 size plain paper along with two recent (taken within last two months) passport size photographs duly self-attested without wearing any wig, cap or coloured glasses. The application should be duly filled and signed by the candidate in own handwriting. Applications must be sent through ordinary post addressed to Asstt. 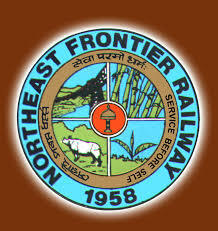 Personnel Officer (Recruitment), Northeast Frontier Railway HQ, Maligaon, Guwahati – 781 011 (Assam) OR dropped in the APPLICATION BOX (separate boxes for Group- C & D) in the Recruitment Section in the Office of Pr. Chief Personnel Officer, NF Railway HQ, Maligaon, Guwahati (Assam) on or before 10.09.2018. (For candidates residing in Andaman & Nicobar Islands, Jammu & Kashmir, Lahaul & Spiti Districts, Pangi Sub-Division in Chamba District of Himachal Pradesh, Lakshadweep and abroad, the last date is 20.09.2018 by post only). The envelope should be superscribed “RECRUITMENT AGAINST SPORTS QUOTA:: EVENT - ........................ & GP - …………………” with the name of the event.